Nobody knows where it originated, why people like it, or what the point of it is. It’s a strange symbol that you occasionally see and think to yourself “Oh yeah, I forgot those existed.” Everyone knows someone that likes them a little bit more than they probably should. 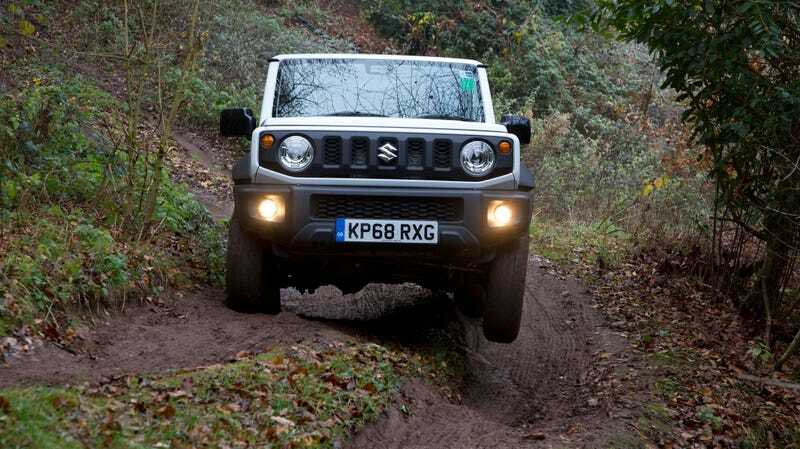 I’m referring, of course, to The Cool S. Oh, you thought I meant that Suzuki Jimny? Well, I guess that too. Suzuki is basically The Cool S of cars. Think about it. Both The Cool S and Suzuki hit their respective zeniths in the 1990s, but are making a comeback. The symbols even look similar. Did Suzuki invent The Cool S? The world may never know. In all seriousness, Suzuki is making great strides these days. The current Ignis looks totally rad, the Swift remains as amazing as it has always been, and it would seem that nobody can shut up about the bare bones off-roader Jimny. Yeah, I think The Cool S stands for Suzuki.